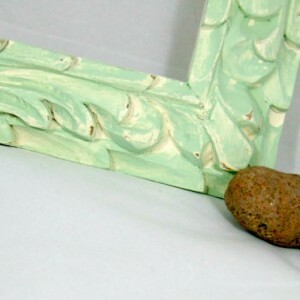 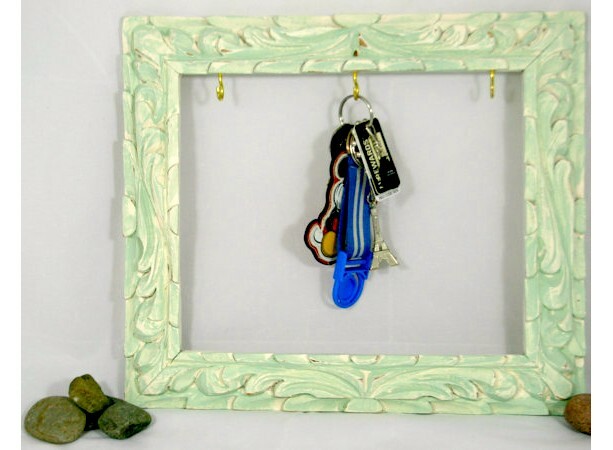 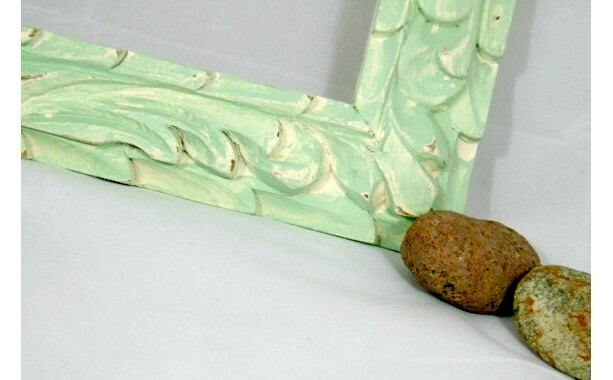 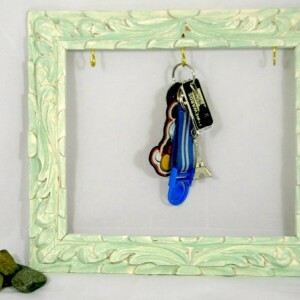 This vintage frame was saved, then painted in white and mint green and distressed. 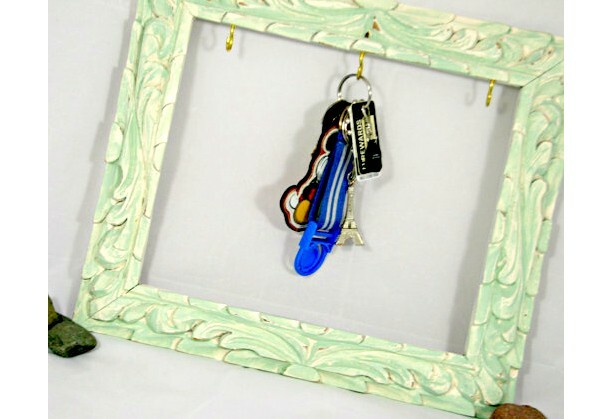 Three gold hooks are attached to the top of the frame so that you can hang your keys. 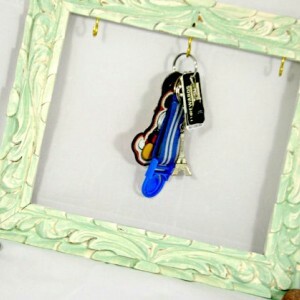 There is a bracket on the back as well so that it can be hung easily on the wall of your choosing.